A special child is not a curse, but a gift ... a gift which challenges us to respond with enormous energy and dedication. Finding a way to help that child, to be there in the most loving, supportive and facilitating way possible is, in effect, to express the most powerful and humane part of ourselves. Such a process is a daily, moment-to-moment treasure for all of us. Autistic Spectrum Disorders: What's Behind the Autism Epidemic? Harris Coulter, Ph.D. - "Probably 20% of American children-one youngster in five--- suffers from "development disability". This is a stupefying figure..We have inflicted it on ourselves.. "development disabilities" are nearly always generated by encephalitis. And the primary cause of encephalitis in the USA and other industrialized countries is the childhood vaccination program . 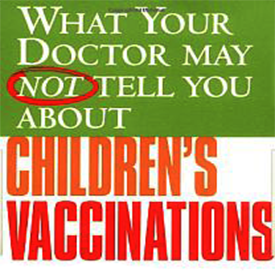 To be specific, a large proportion of the millions of US children and adults suffering from autism, seizures, mental retardation, hyperactivity, dyslexia, and other shoots or branches of the hydra-headed entity called "development disabilities", owe their disorders to one or another of the vaccines against childhood diseases." The incidence of neurotoxic, allergic, and immune reactive conditions such as autism, schizophrenia, ADD, dyslexia, allergies, asthma, eczema, psoriasis, childhood diabetes, etc. have been increasing rapidly in recent years. 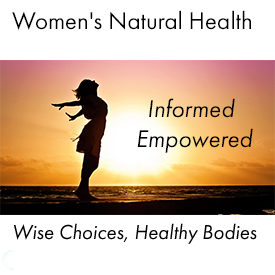 A recent report by the National Research Council found that 50% of all pregnancies in the U.S. are now resulting in prenatal or postnatal mortality, significant birth defects, developmental disabilities or otherwise chronically unhealthy babies. There has been a similar sharp increase in developmental disabilities in Canadian children over the last 2 decades, including learning disabilities and behavioral problems, asthma and allergies, and childhood cancer. Exposure to toxic chemicals or environmental factors appear to be a factor in as much as 28 percent of the 4 million U.S. children born each year , with 1 in 6 having one of the neurological conditions previously listed. The U.S. Dept. Of Education indicates that over 5 million children attending school have neurological related disabilities reported by state agencies, other than ADD. 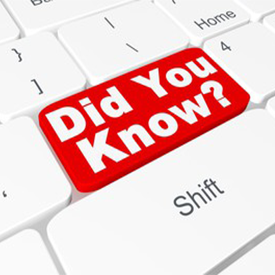 According to the American Academy of Pediatrics between 4 to 12 % of all school age children are affected by ADHD and a similar number have some degree of dyslexia. Studies indicate that over 60,000 children are born each year with neuro-developmental impairments due to prenatal exposure to methyl mercury and two other sources of mercury exposure appear more common and at higher levels than this, mercury from vaccines and amalgam dental fillings. 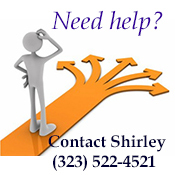 Shirley - "I had a child who could not achieve even the lowest level of normal development. His neurological damage had left him blind and unable to function at any level, other than breathing, eating, and sleeping. In addition to this, he also suffered from severe health problems." The spotlight on Asperger Syndrome has been widening with recent attention from mainstream media. This neurological condition, often misdiagnosed as Attention Deficit Disorder, Obsessive Compulsive Disorder, or high-functioning autism is increasingly being recognized, and now affects an estimated 10 million children and adults in the United States alone. Unlike autistic individuals, Asperger sufferers have normal or above normal language, intelligence and cognition, and are often seen as brilliant—verbose with formal speech patterns and superior memory, but they have odd interests, unusual reactions to the environment, inflexibility in routines, poor interaction with people, and inability to form age-appropriate relationships. Recent FDA warnings regarding the use of psychotropic medications with children (previous treatment has focused on anti-anxiety, anti-depressant, and mood-stabilizing drugs) have fueled the outcry of parents who want to get their children off drugs to avoid the side effects. People with Asperger's Syndrome typically experience difficulty with balance, coordination and sensory awareness. The mind/body exercises in this book help young people with Asperger's Syndrome (AS) improve these skills, leading to greater self-confidence, and independence.Easy to use, with photographs to show how exercises are done correctly, these techniques can have an immediate effect on how an individual stands, sits, moves, thinks of him- or herself, and relates to others. The author's approach integrates ideas and practices from disciplines including martial arts, Eastern principles of mindfulness, techniques of visualization, breathing, posture, and movement, and the practice of mentoring. "Mind/Body Techniques for Asperger's Syndrome" is an introduction to Pathfinder training techniques for both parents of adolescents with Asperger's syndrome and professionals including physical therapists, pediatricians, and special education teachers who work with them. There is a pandemic of autism among children in the western world and it is spreading worldwide. Thousands upon thousands of children are being diagnosed as autistic every day in the U.S.A., the U.K., and increasingly in Australia. A few decades ago the incidence of autism affected only one child in a thousand but now it is more than one child in a hundred. But the first most important question to be asked is, Why has this pandemic occurred over the last four decades? A growing number of medical professionals and parents believe that it has been caused by vaccinations of various kinds, but principally the Measles, Mumps, and Rubella vaccine. [MMR]. 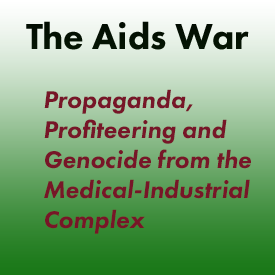 This has been known to the pharmaceutical industry, the Western governments, and to the health and medical professions for decades but they have mounted one of the most slick and collusive denials and distractive tactics ever known. The US Committee on Children, Youth, and Families has estimated there are now 7.5 million American children with developmental delay compared with 4.8 million in 1991. Of these, 30% are thought to be autistic or have autistic tendencies. Dawbarns Law Firm of England has published a paper in which they report on over 600 instances of side effects following the MMR and MR vaccines, which were introduced in England in 1988.3 These include 202 cases of autism, 97 of epilepsy, 40 with hearing and vision problems, and 41 with 100 behavioral and learning problems, the latter in older children. Although British health officials deny a relationship of these conditions with the vaccines, Dawbarns has accounts of over 200 parents who believe that their children were normal before they were vaccinated, and who can point to nothing (other than the vaccine) which could account for the deterioration in their children's conditions. A gentle, deeply-healing system of medicine founded by the visionary genius Dr. Samuel Hahnemann in the early 19th century, homeopathy uses healing substances so dilute that they do not cause side effects like conventional pharmaceuticals, which can suppress symptoms that can later reoccur (often on a deeper level). Homeopathy cures from the inside out. 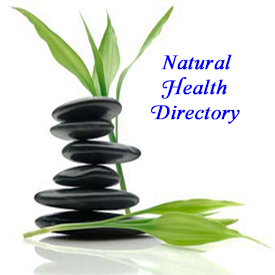 It removes the underlying emotional or mental stress of chronic disease first, then moves the illness out of the body. 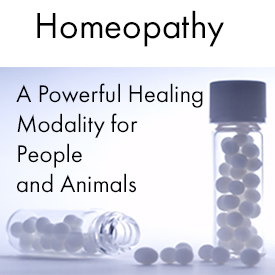 Homeopathy does not cause side effects and even enhances the quality of life as it heals. Founded on unfailing scientific laws, homeopathy has stood the test of time for nearly 200 years. It is based on the same paradigm as acupuncture--that of chi or vital energy. 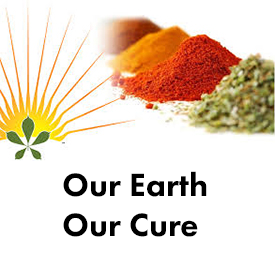 Homeopathy is energy medicine, working with the body's own healing energy to strengthen it, using remedies that are safe, non-toxic and totally individualized to the patient for both acute and chronic illnesses. Homeopathy treats the whole person: emotional, mental and spiritual as well of well-being before it even begins to cure the symptoms. 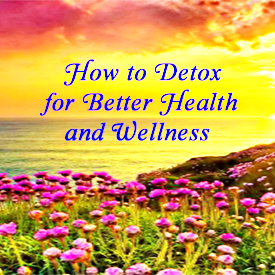 And the search for the right remedy for a chronic disease begins with a detailed inquiry by a Homeopath into the emotional or mental trauma that might have triggered it. While conventional or allopathic medicine (traditional western medicine) continues in a devastating financial crisis with nearly 50 million Americans lacking health insurance, homeopathy can offer health care which is both effective and extremely economical. The homeopathic approach is sensible, economical and effective. 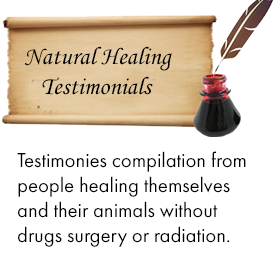 A person's individual healing energy effects the cure. 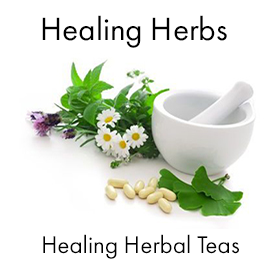 It does not create resistance but uses extremely small doses of natural substances to stimulate the body's innate healing powers. Homeopathic remedies are non-toxic and non-addictive. By treating benign acute incidents or illnesses, patients can save thousands of dollars and contribute greatly to their own well being and healing. 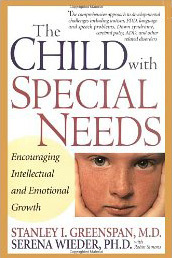 The comprehensive approach to developmental challenges including autism, PDD, language and speech problems, Down syndrome, cerebral palsy, ADD, and other related disorders. . Stanley Greenspan, internationally known for his work with infants, young children, and their families, and his colleague, nationally recognized child psychologist Serena Wieder, have for the first time integrated their award-winning research and clinical experience into a definitive guide to raising children with special needs. In this essential work they lay out a complete, step-by-step approach for parents, educators, and others who work with developmental problems. Covering all kinds of disabilities including autism, cerebral palsy, retardation, ADD, PDD, PPD, language and speech problems, Down syndrome, the authors offer a new understanding of the nature of these challenges and also specific ways of helping children extend their intellectual and emotional potential. The authors first show how to move beyond labels to observe the unique profile strengths and problems of the individual child. Next, they demonstrate the techniques necessary to help the child not only reach key milestones but also develop new emotional and intellectual capacities. Greenspans well-known floor time approach enables parents, as well as clinicians, to use seemingly playful interactions that help children actually move up the development ladder and often master creative and abstract thinking formerly thought beyond their reach. Including vivid case histories, the book also offers deep and compassionate understanding of the stresses and rewards involved in raising a child with special needs. whose amazing work with autistic and other special needs children is nationally known, and his colleague, child psychologist Serena Wieder, have integrated a lifetime of research and clinical practice into a single, comprehensive guide for parents. Ben Underwood is blind. Both eyes were removed when he was just three years old, leaving him with no vision at all. So how on earth does he play basketball, roller blade and cycle his bike? Ben lost his eyes to retinal cancer but, unbelievably, he's taught himself to see; with sound. Ben uses many common aids for the blind, like speaking software for his computer so he can jot down his rap lyrics. He's also written a book and does his schoolwork on a hi-tech Braille writer. But what's unusual, what's totally unique, is what he doesn't use. Ben has no guide dog and never uses a white cane. He doesn't even use his hands. Instead he sees with sound, he makes a sharp click, with his tongue, which bounces back off nearby objects. Amazingly, Ben's ears pick up the echoes and he can precisely locate where things are. Ben is the only person in the world who sees using nothing but echolocation. Dr. Markow, M.D. 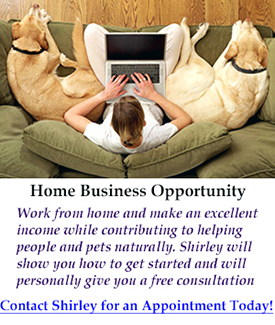 "Did you know that close to $10 billion was spent on antibiotics in the U.S. last year? Did you know that many bacteria have become increasingly resistant to these drugs and that many drugs are outdated as soon as they are released for use? Have you seen the many articles in Time and Newsweek (and many medical journals) about the variety of plagues caused by infectious agents throughout the world? What can we do to protect ourselves in a safe and natural way against this ever-increasing threat? Have you had a child or patient who has required multiple drugs to deal with one or several ear infections? This is how this threat touches our daily lives. We now have new HOPE . .literally, hope in a capsule of Immune Modulator Nutritionals!" 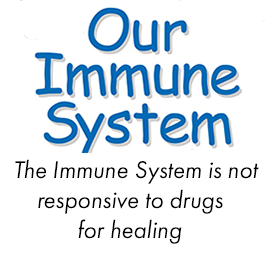 Clinical studies shows 84% reduction of antibiotics in control group of children using the immune booster. The prevailing view among most people, including most doctors, is that the mental retardation and medical complications that afflict individuals with Down syndrome are "inevitable." Nothing could be further from the truth. Virtually all aspects of the syndrome can be prevented or ameliorated with early nutritional intervention. Yes, Down syndrome is a genetic disorder. Children with Down syndrome are born with an extra chromosome #21. This in itself is not the problem. The problem comes from the "excessive genetic expression" of genes on the extra chromosome. One of the most serious consequences of this genetic activity is the buildup of hydrogen peroxide in the cells. Exposure to this extremely destructive free radical is likely largely responsible for the mental retardation, poor development, early onset of Alzheimer's disease, and short lifespan that characterize Down syndrome. The accumulation of toxic levels of hydrogen peroxide in the body doesn't happen overnight — and neither does the mental retardation that is associated with Down syndrome. Left untreated, however, the biochemical mechanisms that lead to mental retardation become progressively worse and mental and physical deterioration follow. Fortunately, there is a simple way of combating the damage caused by excessive genetic expression: targeted nutritional intervention. As Dixie discovered, the most important nutrients for these children are high-dose antioxidants (vitamin A, beta-carotene, vitamin C, vitamin E, zinc, and selenium), which help neutralize the excess hydrogen peroxide inside the cells, preventing free-radical damage to the brain and other organs. Dixie's own child made a dramatic recovery on the treatment protocol she formulated, called Nutrivene-D. Madison and hundreds of other bright, healthy children whose parents Dixie and a growing group of parent activists have managed to reach are living proof that this specialized nutritional intervention works. 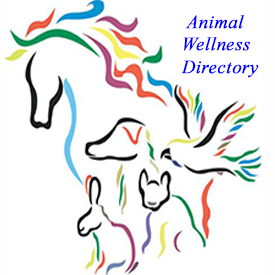 Dr. Jennifer Reid, N.D. - "As a naturopathic physician, I have been working with autistic children since 1997. I was introduced to these nutrients three years ago and was very skeptical even though the science looked good. I decided to try glyconutrients with five of my most extreme cases. One of these five patients was a severely autistic child. With this child, I saw what appears to be a recovery of all previous symptoms. I have worked with over 150 autistic children. All children are unique, but in general, what I am seeing is that within the first month, the child's verbal communication increases, their "stimming" decreases, and their color improves. 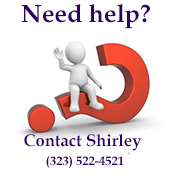 As health continues to improve, behavior problems will diminish. The need for many additional supplements will also decrease after starting glyconutrients. Glyconutrients give the body the nutrients to naturally chelate itself of many toxic substances. Families using glyconutrients with their children are having amazing results with autistic characteristics. The results and improvements are definitely undeniable." Our 7-year-old autistic twin boys began taking glyconutrients six weeks ago. I am already seeing differences in their behavior. They are talking more and what they say is much clearer. The boys are more aware of things around them. They have better eye contact. They're even playing with each other a little bit more. Our most severely autistic son sat through a one-hour and 45-minute therapy session last week without any autistic behavior. He's never done that! I was skeptical about the benefits of glyconutrients because we hear of so many new things for autism. We decided not to say anything to the boys' therapist, their speech pathologist, our support group, and friends. After the first month, it was undeniable that glyconutrients were helping not only our boys but the whole family. We all take them. After only one week on the glyconutrients, the speech pathologist asked what I was doing differently.The therapist started noticing their speech was clearer and they were working better. Dr. Allen Buresz - "In 1996 the World Health Organization warned that Ritalin over-use has reached dangerous proportions. Hopefully, by being armed with correct information, you may be able to avoid using Ritalin or other similar medications. Use of these drugs on a long-term basis is questionable. Safety of such long-term use is simply unknown, but many dangerous side effects have been increasingly. Ritalin, for instance, may provoke seizures and suppress growth, or it may cause angina, blood pressure changes, depression or any of a very long list of serious side effects." Dr. Robert Mendelsohn MD - "No one has ever been able to demonstrate that drugs such as Cylert and Ritalin improve the academic performance of the children who take them.... The pupil is drugged to make life easier for his teacher, not to make it better and more productive for the child." Lawsuits filed in Texas, California and New Jersey claim that the booming success of Ritalin is the result of a conspiracy in which the American Psychiatric Association, Novartis Pharmaceutical Corp. and national parents' group Children and Adults With Attention-Deficit/Hyperactivity Disorder (CHADD) colluded to create the diagnoses of Attention Deficit Disorder (ADD) and Attention Deficit Hyperactivity Disorder (ADHD). Following the acceptance of ADD/ADHD as medical diagnoses, sales of Ritalin and similar stimulants have skyrocketed, with more than 6 million such prescriptions being written in 1995, according to the National Institute of Mental Health. Individuals with a rare, inherited neurological disorder called Williams Syndrome suffer from mental retardation and an inability to visualize objects mentally - when asked to describe an everyday object such as a bus in their "mind's eye", for example, they may see it as a disconnected set of features, like scattered fragments of a jigsaw puzzle. Williams Syndrome, which appears to be caused by mis-wiring of the brain during embryonic development, has been genetically linked to the loss of a gene called LIMK1. Consistent with its role in a neurological disorder, the LIMK1 protein is expressed chiefly in nerve cells, but is also present in the nuclei and cytoplasm of most other cells. Dr Ora Bernard has found that the loss of both copies of LIMK1 from the genome of mice results in the death of the mutant embryos. In Williams Syndrome, only one locus of LIMK1 has been lost - usually, two copies of every gene are present in the genome, one from each parent. Dr Bernard and her collaborators have recently discovered that LIMK1 is intimately involved in the regulation of the actin cytoskeleton. This cellular organelle is one part of the apparatus that helps cells assume shapes appropriate for their environment; the other is the tubulin cytoskeleton. The two cytoskeletal systems are also required for the locomotion of cells, their division and for making cell to cell connections, roles of great importance in the way cells respond to their environment. Glenn Doman and his Institutes for the Achievement of Human Potential make ground-breaking progress in the treatment of brain-injured children. He brings hope to thousands of children, many inoperable, many given up for lost and doomed to live in a frightening, even dangerous world. Where the conventional medical community treats symptoms with medications and surgical interventions, IAHP treats the actual injury by training the brain to learn and develop. 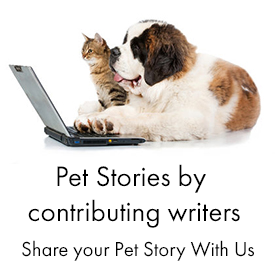 This method is controversial, but there are just too many success stories to ignore. In this valuable volume for parents and fellow professionals, Doman documents Thirty-five-year success with the brain-injured, citing statistics and case histories, and illustrating the basic principles of brain development with charts, diagrams and drawings. He explains why the old theories and techniques failed, explains The Institutes philosophy and revolutionary treatment of the brain rather than the body, recounts his staff's worldwide research, their breakthroughs and setbacks, and their tireless efforts to refine the treatment of brain injury. 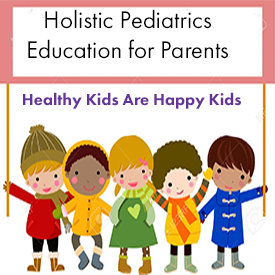 He reveals their lifesaving techniques and their tools to measure-and ultimately improve-mobility, language, manual, visual, auditory and tactile development, including unique methods of patterning, masking and motivation, in addition to The Institutes individualized home program in which parents, and love, are the vital ingredients. 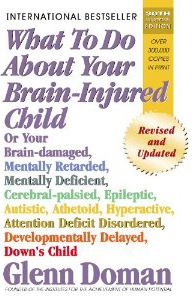 "What To Do About Your Brain-Injured Child" is one of the greatest books written in the twentieth century. The writer, Glenn J. Doman, has come out with incredible breakthroughs which no one has come up with in the history of mankind. This book has saved lives and by doing so: humanity. This book has become a bible for parents of brain-injured children. Glenn Doman, through his books and his work, has truly helped in saving the world." "Before you do anything else; read this book! You will not find another like it on the face of the earth; unless it is linked to The Institutes for the Achievement of Human Potential. I'll wager that none of your child's doctors or disability representatives told you anything about The Institutes. I found out about them purely by divine accident. At age 2 1/2, I began some of their "Multiplying Your Baby's Intelligence," methods at home, and my son was reading by age 3 1/2; and his memory and focus have improved dramatically. We will be going to The Institutes later this year, and applying all of their suggested methods for our brain-injured son upon returning home. I will update this review in the future, to tell you how the methods worked out. I believe Glenn Doman and Temple Fay were inspired men who began their years of research with nothing more than a sincere desire to help hurt children become well. What they discovered is you CAN increase brain cell growth; and you CAN create new pathways around the injured area(s) of the brain. Come on, 100,000 hurt children can't be wrong! Yes, it requires a leap of faith; but I already endorse this book and all of their programs. Perhaps that's the first step to making our hurt kids well---by first believing that anything is possible!" Tom Gardiner, PhD - "Failure-to-thrive (FTT) is a clinical syndrome of body wasting and weight loss. 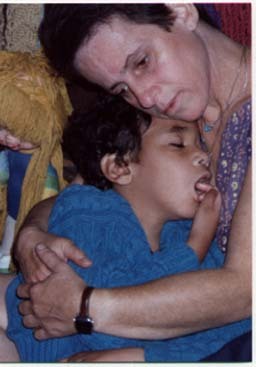 It can occur during development in infants and young children,1 or it can occur in adults as part of the cachectic (tissue wasting) process in diseases such as cancer and acquired immune deficiency syndrome (AIDS).2 Neurological and gastrointestinal (GI) symptoms, characteristic of poor development and function, are also often present in FTT patients. For example, FTT infants frequently have seizures and microcephaly.3 ,4 GI symptoms include diarrhea, bowel inflammation and malabsorption, which further interfere with the utilization of dietary nutrients, resulting in additional tissue wasting and weight loss." "Dietary glyconutritional supplements may play important roles in the prevention and repair of dysfunctional processes involved in the FTT syndrome. In fact, a pilot study in FTT children has provided evidence that certain glyconutritional substances can significantly reduce some of the signs and symptoms of wasting found in FTT." "The sugars present in glycoconjugates and the glycoconjugates themselves (mainly in the form of glycoproteins) are necessary for normal body functions that become dysfunctional in failure-to-thrive (FTT) syndrome. For example, glucose transporters, which are glycoproteins, can malfunction, resulting in deprivation of an essential energy source. Defects in glycoconjugate sugar and glycoprotein metabolism can also occur, resulting in specific sugar deficiencies in key glycoproteins that result in muscular, nervous, and GI dysfunction. Cytokines are important modulators of the general wasting syndrome (cachexia) of various disorders, and may play a similar role in FTT. Due to the immune system modulation activity of glycoconjugate sugars and their associated glycoconjugates, which includes modulation of cytokines, it is possible that dietary glyconutritional supplements may have a protective or reparative role in FTT. In fact, a pilot study in FTT children has provided evidence that certain glyconutritional substances can significantly reduce some wasting symptoms of FTT." Does your child suffers from seizures? Testimonial from Nanci Mikels about her son who suffered from seizures: " At the age of 2 yrs. I had a healthy boy. When he turned 29 month old, Josh had a seizure which put him in the hospital and we found out he had Hydrocephalus and so they put a shunt in his head at that time. From then on, Josh was in the hospital a lot. He had seizures, and he always threw up and suffered with pain of migraine headaches. The vomiting was possibly also from the mal-functioning of the shunt. The shunt was revised at age 7. When he turned 9 when we heard about the Immune Modulator Nutritionals. We gave him the recommended dosage for the product which is 3 per day. Within 2 months his seizures had reduced and vomiting had stopped and he only had to go to the hospital once within those two months. He had gone to the hospital in a ambulance every month from age 29 months until he started taking the Immune Modulator Nutritional but between that time and now, age 12, he has not been in the hospital and does not throw up. It has amazed us how this supplement changed his life. 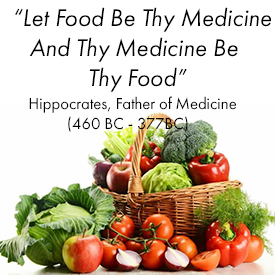 The ketogenic diet has been around in the medical literature for well over 70 years. It was replaced when the modern anti-convulsants became available, even though it has a very good success rate at controlling seizures. In some cases it is actually better than drugs at controlling seizures. It has a success rate of 75%. Stopping seizures in 50% and further reducing them in 25% of cases. Most kids can stay on the diet two years, get off it and never have another seizure again. Ketogenic diet is a special method of treating epilepsy. This Web Site was created by the Pediatric Neurology Division at Stanford University School of Medicine to facilitate communication between health care providers who are using the ketogenic diet to treat epilepsy. "A Fabulous Resource for Beginning a Casein-free,Gluten-free. Having a child recently diagnosed with autism, this book is an invaluable resource for anyone in search of the "how to" of a CFGF diet. 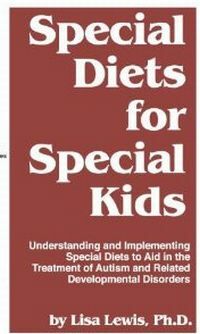 Containing explanations of why this diet may be effective, tests and nutritional support, lists of foods the child can and cannot eat, recipes, and so much more! I especially appreciated the list of mail order food companies and web sites where you may obtain the food necessary for this diet. Every professional I have spoken with, including those who have seen my child, have highly recommended this book. It has became my salvation! I cannot thank Lisa Lewis enough for writing such a comprehensive book! If you are a parent with a child diagnosed with autism, this book is a must have!" amazon reviewer Christian Drapeau, a foremost scientist in the study of phanizomenon flos-aquae, and author of Primordial Food" holds a Masters of Science degree in Neurology and Neurosurgery from the Montreal Neurological Institute, an affiliate of McGill University, Montreal, Canada, and has been extensively involved in the study of nutrition, naturopathy and various natural therapies. Most significantly, Mr. Drapeau collaborated with many scientists affiliated with Harvard University, McGill University, the University of Illinois, Oregon State University, the University of New Mexico and the University of Mississippi in the study of the effects of blue-green algae (Aphanizomenon flos-aquae) on human health. Mr. Drapeau continues his involvement in the clinical study of AFA. As a major element of brain and eye tissue, DHA and related Omega-3 polyunsaturated fatty acids are known to provide the fluid membrane environment that is needed for proper transmission of brain and nerve signals. The frontal cortex of the brain, which regulates attention span and congrutive processes, has been shown to have only 15% of the normal level of DHA when the diet is deficient of these important fatty acids. Nature's essential fatty acids shown to maintain eye and brain function.